Taking the time to become familiar with these apps have made invoicing, design, and archives and other business needs lot easier to handle. 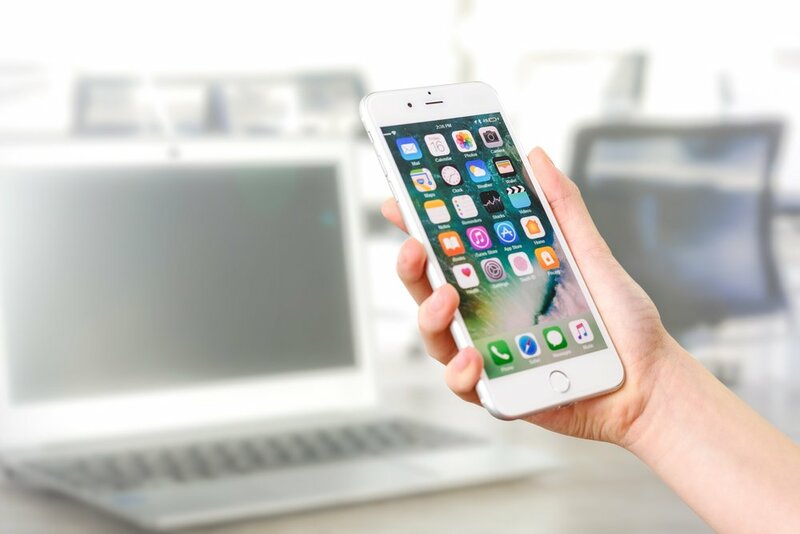 Just like any other career path entrepreneurship requires patience to build skills, so as you begin to explore apps remember that, it will take practice to accomplish everything you want on your phone. Below are my Seven Savvy Mobile Apps for Business I use to help me in all areas of my life as an entrepreneur. From keeping accurate records, to expanding your business mindset, I think these apps can also help you in some areas of your career. After you try the apps comment and let me know what you think. Started in 2013, this app is one of my most recent and best finds. A quick and easy way to log your mileage this swiping app is the perfect alternative to keeping a mileage log in a notebook. Logging up to 40 drives a month for free, this app also allows you to send a monthly record of your log with just a touch of the screen. If you want unlimited rides it's only $4.99 a month, so its cost efficient for the long term benefit for taxes. A free and creative app like Photogrid is such a great way to edit, filter, and create fun visuals for you social platforms. A great way to shape your brand image, this app will edit any photo and even allow you to apply your logos through their sticker feature. Don't make editing your photos such a tough task, and create it on the go with this app. This financial tracking system is perfect on your computer or mobile devices, and frankly my companies best friend. The main source I use for booking keeping, receipt entries, and expense logging, without Quickbooks, I would be lost. I've looked into other companies, but I've found that QB is the best for me. Math wasn't my strongest suite, but this has helped me learn so much about following and properly logging information for my business manager. The is super user friendly, plus it's the best way to invoice, and instantly take payments on the go. This is worth the investment! So crazy to think that when I was in college, scanning documents required going to the library, a local Staples, or Kinkos, and using a bulky machine that usually required some wait time to even access. Well now you can literally have a scanner on your phone. Camscanner along with a few similar apps are an awesome way to send clean high resolution pdf scans of any document, and thats just scratching the surface. There are ways of securing important scans, watermarking, and emailing them to anyone straight from the app, it couldn't be easier to get quality scans with this kind of app. Pretty much everyone is familiar with Zoom, and its for a reason. A quick way of accessing, scheduling, and recording conference calls this is a free app everyone should have. Sometimes I get stuck on back to back calls, so this is also a great way to manage your calls and help with keeping a strict and efficient timeframe with your schedule. If you haven't heard of SHAPR, you will soon. This business networking app has been a huge benefit for networking beyond LinkedIN and social platforms. Designed to easily swipe right or left if you're interested in networking owith a particular individual who shares similar interests. I'm traveling a lot more every year, so I wanted to find another way of connecting with others within my industry without having to do too much searching. By aggregating daily contacts and having a chat feature, connecting with someone in business has never been easier. How does a music app apply to my business? Well, it applies in every way. I have had some difficult times on this outrageous journey of starting a business, and sometimes it got a bit lonely. I started listening to motivational podcasts like, Lewis Howes' The School of Greatness, and learning more about politics through the Rubin Report, and letting go of stress while jamming to my favorite artist, Allen Stone, all on Spotify. This helped center my mindset towards my goals and actually brought a positive energy to my life, and a stronger business. I think in any career thinking about yourself needs to be a priority, or else you can lose sight of your health and goals. I would love to hear about the apps you use, and hope some of these will help you build a powerful business. Comment below and feel free to ask any questions regarding some of the apps I've downloaded.